So today I finally took the FrankenBike outside the city borders for a quick test ride. 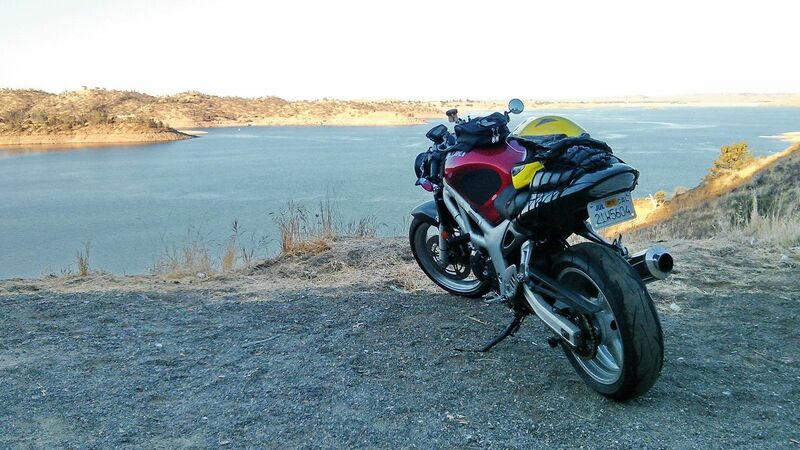 I went northeast on Tollhouse to the old Millerton Road; nice little back road with easy fun twists. 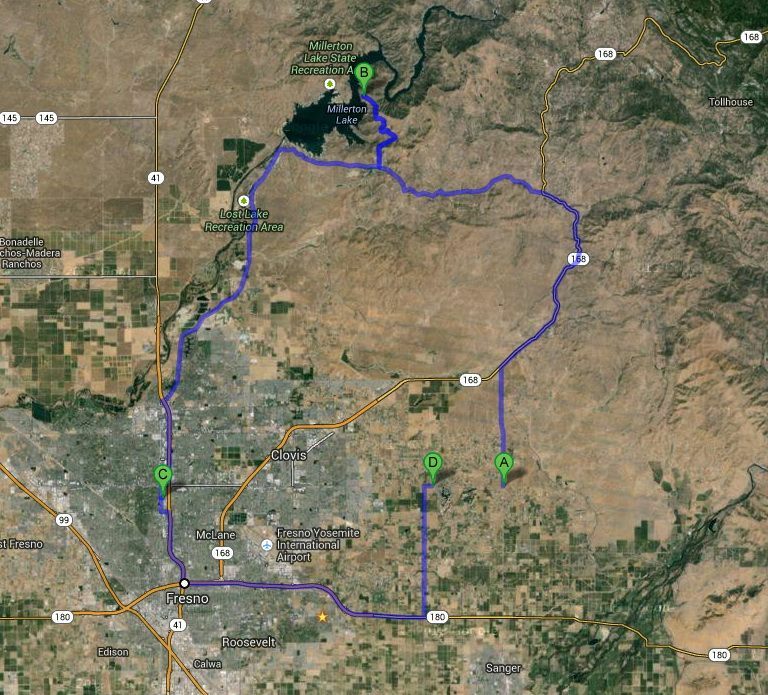 Then I went up to Sky Harbor Rd and back to Fresno via Friant. I'm loving this new little bike!! !